For the first time, a team of researchers has found a specific place in the human genome that raises a person's risk of erectile dysfunction. The discovery is a significant advancement in the understanding of the genetics underlying erectile dysfunction. The study, "Genetic variation in the SIM1 locus is associated with erectile dysfunction," will be published the week of October 8 in the journal Proceedings of the National Academy of Sciences. Therapies based on these factors exist, but many men don't respond to them. Genetics also are suspected as a factor in about one-third of erectile dysfunction cases, but researchers have failed to make an association with any specific genomic locations until now. 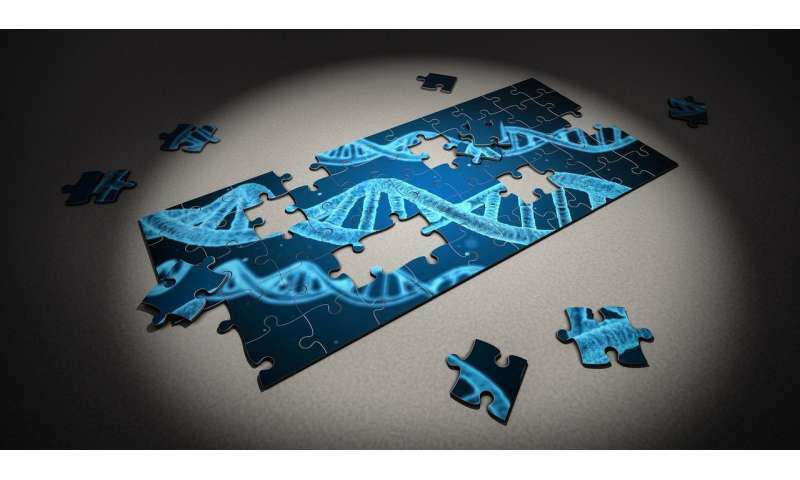 The new study found that variations in a specific place in the genome—called a genetic locus—near the SIM1 gene are significantly associated with an increased risk of erectile dysfunction. The researchers ruled out that the risk was due to other known risk factors for erectile dysfunction, such as body mass index, or differences in how men describe their erectile dysfunction. The study also demonstrated a biological role for the genetic location in regulating sexual function, strongly suggesting that these variations can cause erectile dysfunction. "Identifying this SIM1 locus as a risk factor for erectile dysfunction is a big deal because it provides the long sought-after proof that there is a genetic component to the disease," said the study's lead author, Eric Jorgenson, Ph.D., a research scientist at Kaiser Permanente Northern California's Division of Research. "Identifying the first genetic risk factor for erectile dysfunction is an exciting discovery because it opens the door for investigations into new, genetic-based therapies." "This significant advance in our understanding of erectile dysfunction is made possible by the unique ability of the Kaiser Permanente Research Bank to link detailed questionnaires, electronic health records, and genetic data on such a large population," said the study's senior author, Stephen Van Den Eeden, Ph.D., a research scientist at the Division of Research. "The different bits of evidence that we present in this study fit together like puzzle pieces to create a picture of how the SIM1 locus can control erectile function," Jorgenson said. The study highlights the potential of SIM1 as a target for the development of new treatments for erectile dysfunction, which are needed because about half of all men who try currently available pharmaceutical treatments for erectile dysfunction don't respond to them. "This study points to a new research direction for erectile dysfunction that could help us identify other key genetic variants that trigger the disease and lead to investigations to better understand the precise mechanisms by which they operate," said Hunter Wessells, MD, chair of urology at the University of Washington School of Medicine, a co-author and one of the study's principal investigators. "Hopefully, this will translate into better treatments and, importantly, prevention approaches for the men and their partners who often suffer silently with this condition." What causes erectile dysfunction and should it be checked?